"It took many experiments for this one. I have finally perfected a marinade that will make your mouth thirst for more." See how to make this sensational five-star steak marinade. 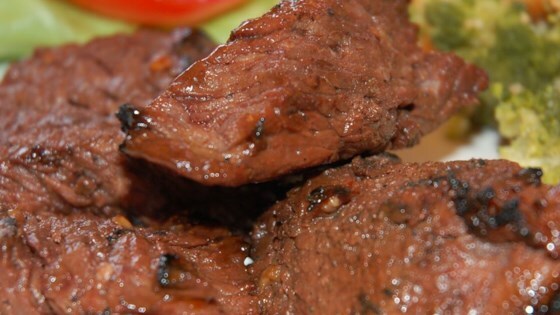 This is one of the best steak tip marinade recipes I have ever tasted. This recipe has been requested by many family members, friends, and co-workers. Everone loves it!